MID-ATLANTIC MEDIA is a growing custom communications firm centered in the Baltimore-Washington, D.C., corridor with projects stretching from the Mid-Atlantic region across North America. 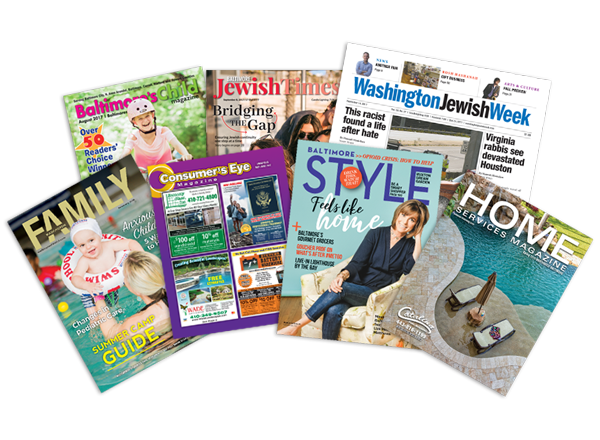 We publish Baltimore's Child, Baltimore Jewish Times, Baltimore STYLE magazine, Consumer's Eye Magazine, Home Services Magazine, Washington Family and Washington Jewish Week, while our Mid-Atlantic Custom Media division produces and manages titles in a range of industries. 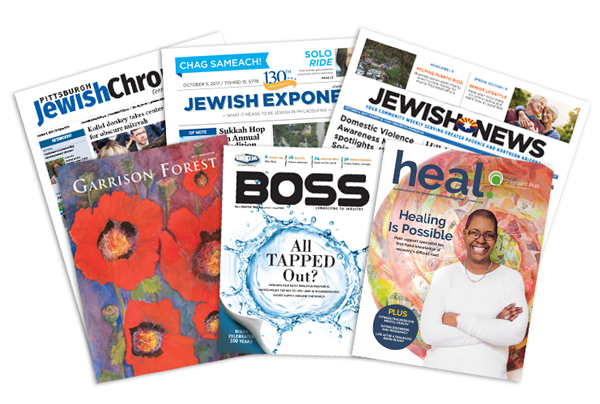 Our magazines provide visually striking content that is innovative, inspiring and inclusive. They cover a broad range of issues and serve a number of constituencies, including parents in the Baltimore and Washington, D.C. metro areas, Jewish residents of Maryland, D.C. and Northern Virginia, and those who simply crave provocative discussion of the issues and people who make a difference in our lives. We specialize in high-quality turn-key full-service custom communications. Equipped with strong design, editorial, production and publication management resources, we can handle any or all aspects of your company's publication, marketing collateral and digital demands. Whether you need just a quick logo makeover or website design; want to launch a full consumer magazine with affordable production and distribution; are seeking financial management; or are looking for a top-notch sales team to deliver advertising revenue, Mid-Atlantic Media's custom communications division is ready to partner with you and take your business to the next level.